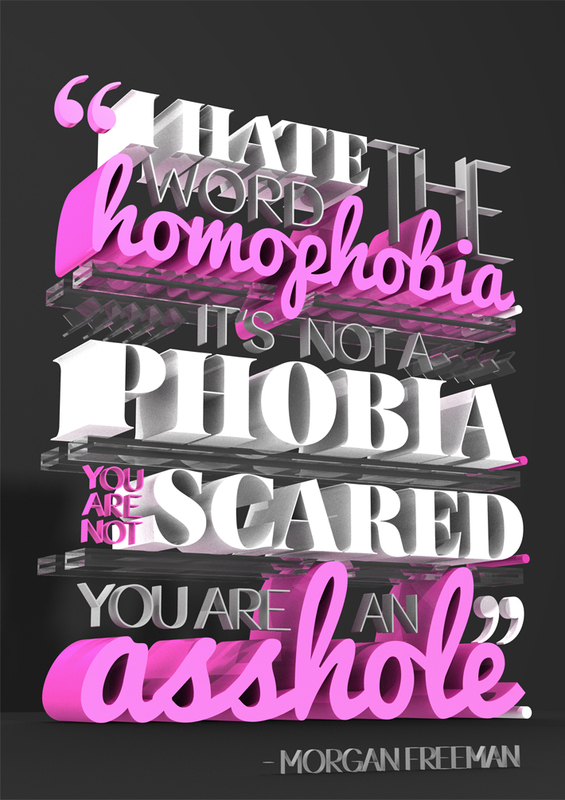 I was approached by The Nancy Boy Project (a collective who explore homophobia through stage shows, workshops and film) to create a poster presenting a quote from actor Morgan Freeman. Apart from being told it needed to be ‘on brand’ I was given a totally open brief. My aim was to produce something big and bold that would stand out on a poster as a contemporary piece of graphic design that people would be happy having on their wall. I decided immediately to go down the 3D typography route and am delighted with the results. A limited run of the posters are going to print and are due to be available to buy very soon!